Our Keto Cake has been such a hit, I decided to share another Keto-friendly recipe with you! I must confess, I am guilty of keeping this cookie dough in my fridge and snacking on it from time to time… Enter the Keto Cookie. A delicious, guilt free dessert, low carb, and sweetened with my new favorite keto friendly sweetener, Lakanto! 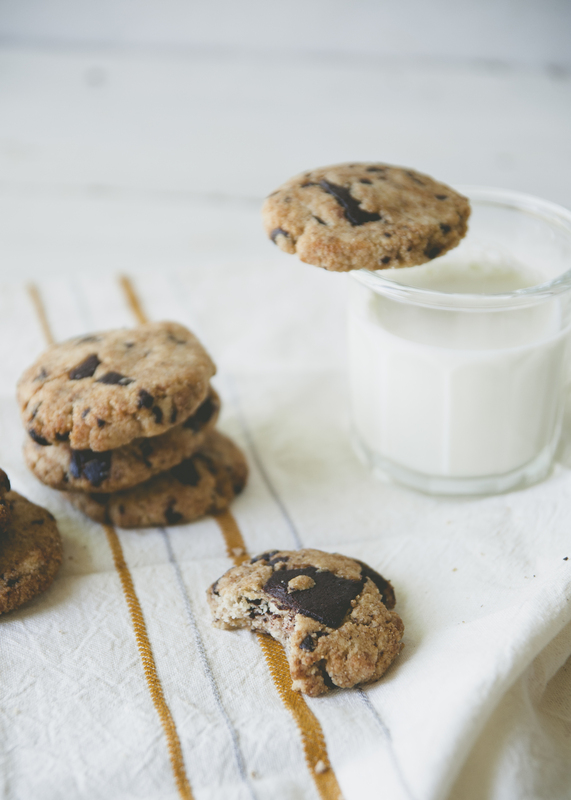 These cookies are the perfect summer treat and are even better paired with a fresh glass of Almond Mylk! Enjoy! Preheat the oven to 350 and line a baking sheet with parchment paper. Place the almond flour, Lakanto sweetener, baking soda and salt in a bowl and stir. Add the water and coconut oil, and stir until dough forms. 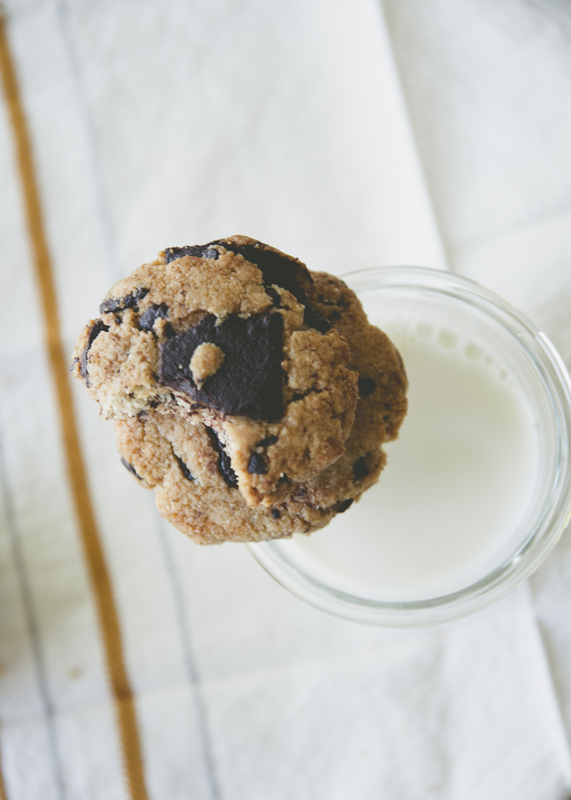 Add chocolate chips and spoon 1 tablespoon balls onto a cookie sheet. Gently press balls of cookie dough down and bake for about 12-15 minutes. Allow to cool and enjoy! Break baking chocolate into one-inch pieces and place in thick saucepan or double boiler. Over a very low heat, melt the baking chocolate with the coconut oil. Once melted, take off heat, add sweetener and stir. Pour chocolate onto parchment paper and spread into a rectangle, about 8×12 inches. Place parchment in freezer. Once hardened (will take a few minutes), break into small pieces and use as chocolate chips. This entry was posted in baking, chocolate, dessert, dinner, diy, event, healthy, holidays, lifestyle, motherhood, paleo, seasonal, snacks, summer, Uncategorized, wellness and tagged baking, chocolate, chocolate chip cookies, cookies, dairy free, dessert, diy, gluten free, grain free, grain free baking, healthy, healthy treat, holiday baking, keto, lifestyle, paleo, refined sugar free, summer recipe, sweet laurel, sweet laurel bakery, sweet laurel cookbook, sweet treats on June 21, 2018 by sweetlaurel. Just updated the recipe, thanks Merna! These were so yummy and easy! It was nice to have a keto friendly recipe that wasn’t full of strange ingredients. Hi there! I’m actually Nick’s cousin and I found your blog when my aunt was raving about your banana bread!! I just tried this recipe as I am low carb but I can’t shake that coconut oil taste. Is there a certain brand/type you recommend when baking? Hi! I LOVE this chocolate chip recipe so much!! Have you ever had trouble with the dough being to liquidy/ melty? I tried refrigerating the dough before baking, but don’t think I let it cool long enough because my cookies all flattened out into almond puddles in the oven. 🙁 help! Hm… I have not. Do you melt the coconut oil before adding? Are you using the granulated Lakanto sweetener? Also, if so, you add less water. Yes I was. That was probably it! Thank you!! Can you use coconut floor instead? Unfortunately coconut flour is not a one for one swap for almond flour. I have substituted coconut flour for almond flour in cake recipes before using the following method: for every one cup of almond flour, sub it with 1/4 cup of coconut flour + 1 egg. Again, I’ve only tried this with cake recipes, perhaps try it here and see if it works! Let me know how it goes!! Hi! I can’t wait to try this recipe! can you use olive oil instead of coconut oil? thanks! Hi Laurel! greetings from Mexico! love your book and your blog. I just made a batch of these and they are delicious, the only problem is that the chocolate is spreading out and burning on the corners, any ideas as to why is this happening? any solution you might think of? Muchas gracias! 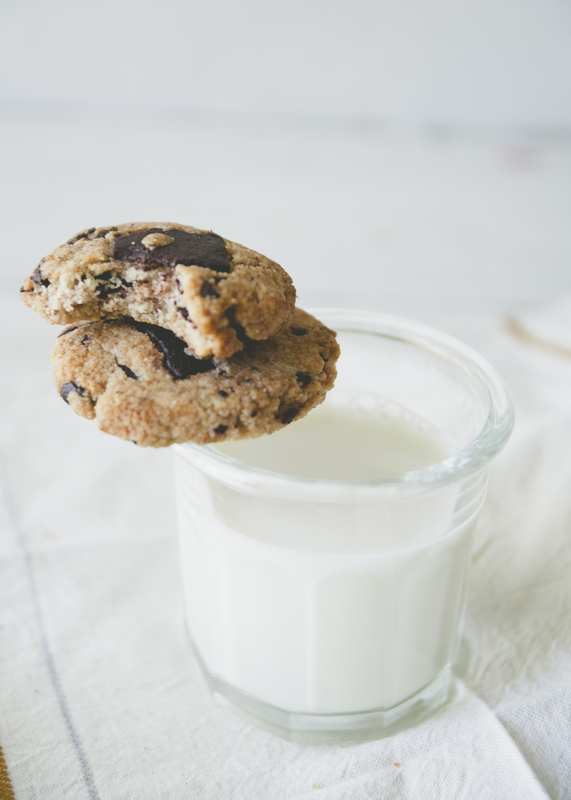 Are you using parchment paper to bake the cookies on? That may help! 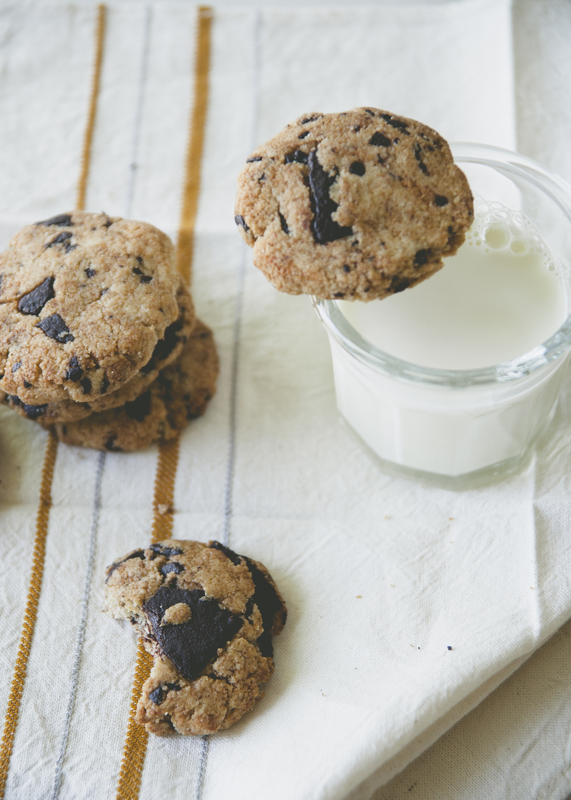 You could also try adding the chocolate chips on top of the cookies as opposed to in the mix. Hope this helps! How many carbs per cookie?